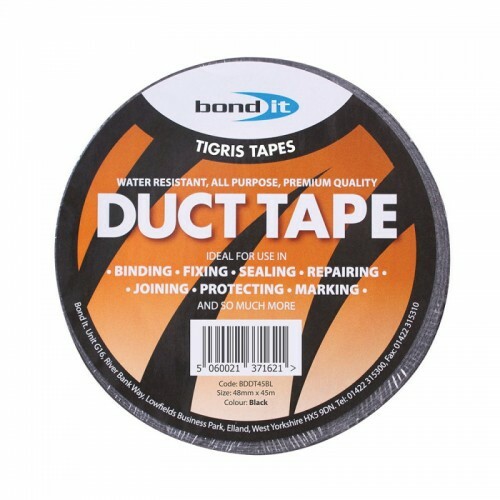 A water-resistant, all-pupose, premium quality duct tape for binding, fixing, sealing, repairing, joining, protecting, marking and much more! Adhesion to Steed Plate >5.5N/cm. Ensure surfaces are clean, free from dust and dry. Remove outer packaging from roll of tape.